Gigi has finished the We Need a Little Christmas tube socks for Genevieve. Jasmin finished the Sgt Pepper socks from Fab Funky Fibers. 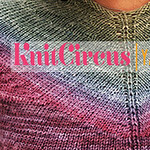 Gigi has finished the Crocus Vernus sock from the Knitters Curiosity Cabinet. 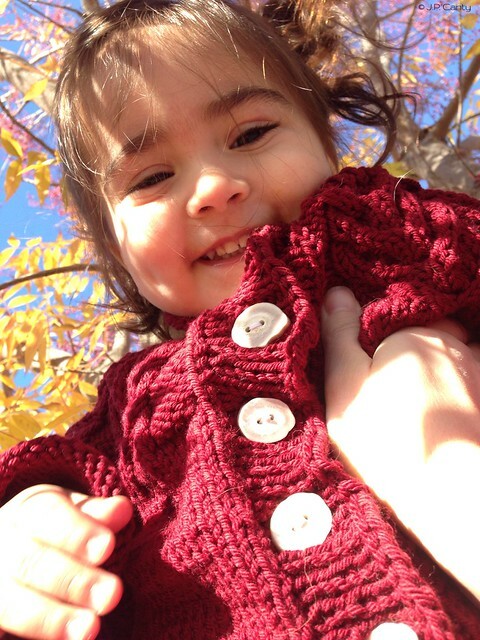 Jasmin's Little Oak cardigan for Genevieve is almost done, and now she is busy sewing on squirrel and acorn buttons, and is tickled pink about the finishing. #operationsockdrawer: Gigi has finished the Witchy Woman socks out of Lollipop Yarn. 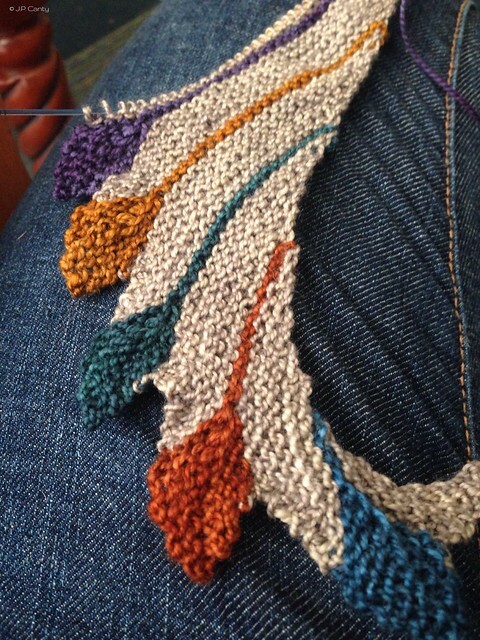 Jasmin's 'Tis socks by Invictus Yarns are almost done. She plans to pre-rinse them with color catchers . Gigi is almost done with a pair of Meilenweit tube socks. Jasmin cast on her We Need a Little Christmas socks, by Lollipop Yarn. Gigi cast on her second Hitchhiker out of Fiesta Yarn, Baby-Boom, in the colorway Burnished Red. Jasmin has cast on a pair of socks out of Pinky Promise by Lollipop Yarn. She mentions Toadyjoe and Meghan and talks about Robeez and Stride Rite Shoes. We mention the Podcaster Throwdown, and are so pleased that the Commuter Knitter podcast group has joined out team. #podcasterthrowdown. Team Sockoholic is gaining on us with a total of 90 hats to our 119. Gigi has started her Hitchhiker mitts out of her leftover Schoppelwolle. Today's #Behmalong German word is Glühwein. Jasmin mentions Dittmers and Cost Plus Imports. Everybody is wearing hand knit socks. Gigi wore her Mondo Cable Pulli from our knit-along, her Icarus shawl and her Knitmore Girls cowl. Jasmin endorses cashmere, Genevieve wore her duck sweater, and the hat from Auntie Collee. Andrew wore a hat out of Noro. Jasmin mentions the Cashmere America Hat, her Ribby Cardi, her Fancy Image Yarn hat from the Cashmere America pattern, her Looped Loop cowl and the wristers from Sally Melville's The Purl Stitch out of Tess Yarns sock yarn. Jasmin is thinking about re-doing zipper in her Mariah. We want to see the handknits that you are wearing. Put a picture in the In Stitches thread in the forum. about where we find etsy shops for buying yarn. Jasmin mentions Fab Funky Fibres, Lollipop Yarn, and Gynx Yarn, Instagram and the Etsy app. Gigi is attacked by shortcomings of the yarn of the Victorian Girls Coat. She used Jasmin's recommendation Tin Can Knits buttonhole to finally finish the buttonholes, for the amazing buttons we got from Mood. Jasmin dropped a stitch at the movies on her Pinky Promise socks, by Lollipop yarns. Gigi did something wrong on the cuff of her newest sock from The Knitters Curiosity Cabinet. We mention Dr Gemma and Paula from the Knitting Pipeline. We talk about Marly Bird's interview with Diana Gabaldon, author of The Outlander Series of novels. This week we review 60 Quick Knits from America's Yarn Shops . We talk about about our gift- wrapping tradition. Gigi has finished spinning her Gourmet Stash punis. Gigi has finished the body of her Witchy Woman socks, by Lollipop Yarn and has just the afterthought heels left to do. She is almost done with the Crocus Vernus sock, from the Knitters Curiosity Cabinet. Jasmin is done with the knitting of the Little Oak cardigan by Alana Dakos, and only has to sew on the ribbon from the Trimgoddess, and buttons from Justfingerprint. She is thrilled with the Tin Can Knits buttonhole. Gigi finished her second Halos hat out of Bentley, by Cascade Yarns. #Behmalong German for the day: two variations of Stollen, Flüsterstollen and Schreistollen. We share a letter from a listener. 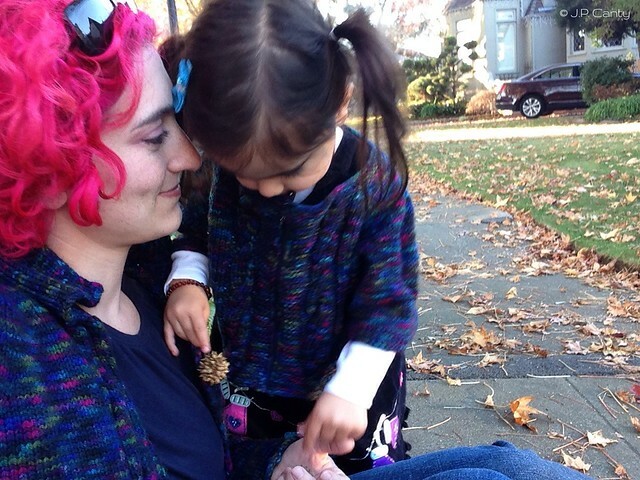 We talk about our outing to the Pajama Jammie Jam at Purlescence: Jasmin bought Manos Rittenhouse for a sweater for Genevieve. Gigi brought home some Cash Vero. The Famous last Words Contest had 827 entries! 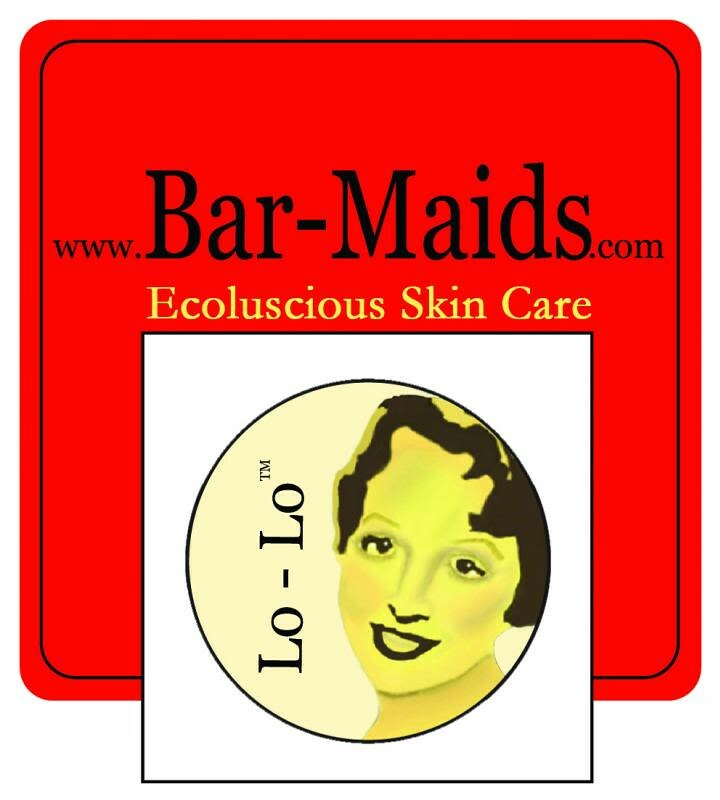 Wordpurler won the LoLo Bar Trio, and the The Ashford book of spinning . Woolpiggy won Tess Yarns Kitten, and The Intentional Spinner . Bknittin won the Namaste Circular needle case, and The Ashford Book of Dyeing . Holity won the Erin Lane small drawstring bag, and a copy of Weaving Made Easy . We also announce our Annual Do Some Good Contest, which launched on Thanksgiving. We wore handknit socks, and GrandpaDahling wore a hat that Jasmin had knitted for him. Genevieve wore her Antler cardigan, out of Cascade Greenland. This week we answer a question from the "What do you want to hear about?" 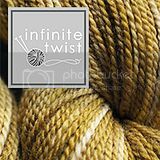 thread on the forum about how to deal with really old yarn. There is a minute of Dangermouse audio at the end of the podcast. Gigi finished her We Need a Little Christmas, by Lollipop Yarn. She has decided she wants at least one pair of themed socks for every month of the year. 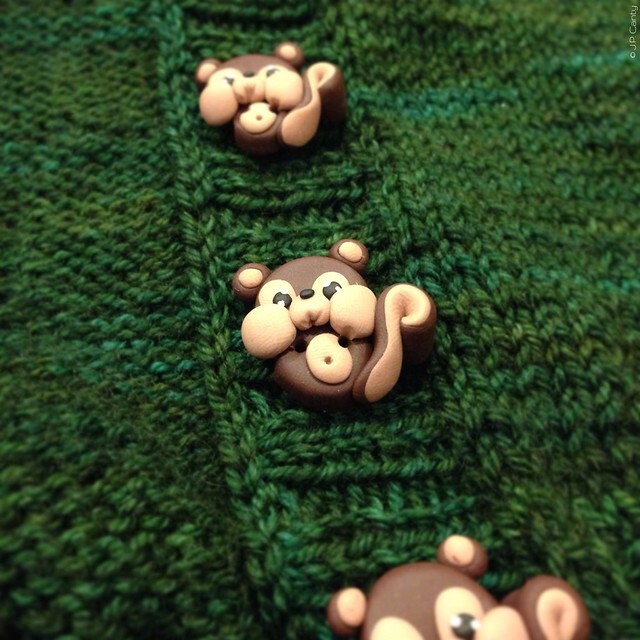 Jasmin is working on the Little Oak cardigan for Genevieve, out of Cephalopod Bugga in Nebraska Conehead green. Gigi finished another pair of leftover tube socks and gives the recipe for Genevieve's socks. Jasmin is working on her Sgt Pepper Houdini socks, out of 15 Color Rainbow yarn #operationsockdrawer. She is enjoying working on the Paton's Kroy socks in Grey Brown Marled. Jasmin mentions the The Complete America's Test Kitchen Cookbook . Gigi is working on her second Witchy Woman sock and also on the foot of the Crocus Vernus sock from The Knitters Curiosity Cabinet. She is knitting Halo hats out of Bentley, by Cascade Yarns. 11/29: Pajama Jammie Jam at Purlescence. We also announce our Annual Do Some Good Contest, which will launch on Thanksgiving. Gigi is wearing wool socks every day. She also wore her Katarina cardigan, Jasmin mentions the titanium shawl pin by Jaime's Metalworks. Gigi is very pleased with her Citron out of Huckleberry Knits and her Icarus. Jasmin wore her Brickless, and among others, her Kroy socks. Genevieve wore her mouse hood, and socks from Gramzie. 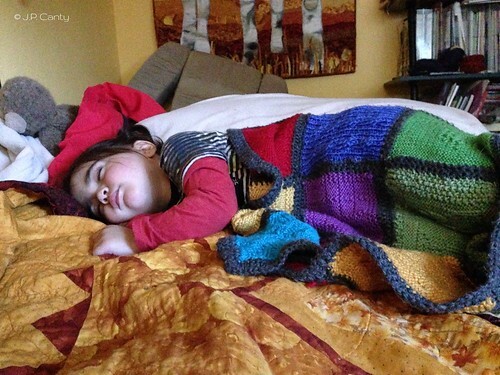 This week we answer a question about weaving with a small child. We have a number of suggestions, we mention finger knitting, weaving on straw looms, cardboard looms, plastic Ball Winder , the 15 inch Cricket loom. You Can Weave! : Projects for Young Weavers , by Kathleen Monaghan. Jasmin is working on the Little Oak Cardigan, which cruelly attacked her. This week we are purloining Playful Parenting from greentrianglegirl from the A Playful Day podcast. Nurturing Good Children Now , by Ron Taffel and Melinda Blau. She mentions Woolbur and Extra Yarn . This week we review Green Gables Knits by Joanna Johnson. We mention the Anne of Green Gables complete collection . Jasmin mentions Phoebe's Sweater , Phoebe's Birthday , and Freddie's Blanket . Gigi has been spinning Gourmet Stash punis on her Russian supported spindle.